If you've never been to a Burn's Nicht you have been missing something special. At least we of Scottish decent think so. This will be The Scottish Society of South Texas' 26th annual Burn's Nicht Gala Dinner and we are sparing no expense to make it the best one ever. 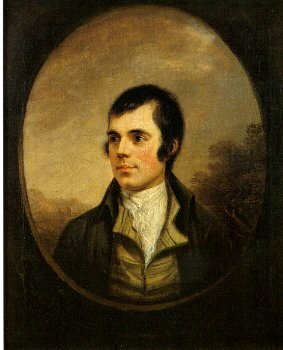 Come out and recognize Robert Burn's, The Nation Poet of Scotland who made Scots proud to be Scottish. You will see Scottish formal wear and witness the "Haggis ceremony". You will enjoy a gourmet meal prepared especially for you and be entertained by nationally acclaimed musicians. You will meet a lot of nice people and have one of the best evenings of your life. Tickets are selling for $30 and this includes your meal,all the ceremonies and the entertainment. So come on and get your tickets and join us on Saturday, January 27, 2007 at the Best Western on the expressway in Weslaco. You don't want to miss it, and seating is limited. Click here to dload the Burn's Nicht Flyer. Get the information and mail in your reservations today!